Happy New Year! Today is the Chinese New Year. It is the year of the snake. People born in the year of the snake are said to be determined, sophisticated and calm. For the Chinese New Year I made a couple of dishes: Chicken Fried Quinoa and Pot Sticker Dumplings. The pot sticker dumplings recipe is from the Quick and Easy Chinese Cookbook. I got this cookbook for our wedding from one of our friends. I absolutely love Chinese food and have a few Chinese cookbooks but always get a little intimidated when it comes to cooking the food. I have made dumplings before so I thought this would be a good recipe to make. They came out really good and tasted very similar to dumplings at a Chinese restaurant. They were also very easy to make, just like in the title of the cookbook. That does not happen very often. Mostly when it comes to putting things together. It always says on the box: "easy to install" "easy assembly" YEA RIGHT! This was one of the rare occasions that it actually was easy to make. I also make Chicken Fried Quinoa. Quinoa is such a big thing right now. I have seen many recipes on fellow bloggers websites in the last year. Switching out rice for quinoa. I found this recipe from Never Trust a Skinny Cook's blog. It came out really good. I added a few things to it. Any fried rice dish I have had always has eggs, so I added that to the recipe as well as some sesame oil, as I love the nuttiness of it. Next time I make this dish I will probably saute the chicken in some sort of sauce as the chicken was a little bland. But all in all it was a good substitute for a healthier fried rice. Saute chopped cabbage in a skillet over medium heat for a few minutes. Then add all ingredients besides oil, chicken broth and wonton wrappers in a large bowl and mix well. Scoop about 1 teaspoon filling onto the middle of a wonton wrapper. Dip your fingers in water and moisten the edges of the wrapper. Fold wonton in half and pinch top edges together to make a tight seal. Try to squeeze out any air bubbles that may form. Continue until all wontons are done. In a large skillet heat up olive oil over medium heat. Place dumplings in skillet. Press down so that they are sitting upright. (cook in batches if necessary). Cook for 2-3 minutes until bottoms have a nice browning on them. Then add the chicken broth to the skillet and cover. Steam for 8 minutes. Remove lid and cook another 2 minutes. Mix soy sauce and sesame oil to make the sauce. Bring chicken broth, sesame oil and soy sauce to a boil. Add quinoa and reduce heat. Simmer, covered for 10-15 minutes, until all liquid is absorbed. Add frozen veggies of your choice and mushrooms. Cook until veggies are cooked through, about 3-5 minutes. Meanwhile, scramble eggs in a separate skillet. Break apart into small pieces. Add chicken and eggs into quinoa. And, so glad you've checked out Abby over at "Skinny Cook." Love that girl. 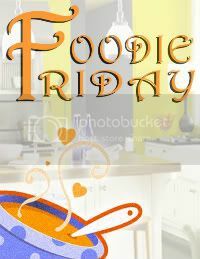 Just wanted you to know that your recipes are being featured on foodie friday today. Stop by and grab a featured button. I will be pinning and tweeting your dishes this week too. Thanks again for being party of our food party.